"Wizards often use firework spells to light up the sky for celebrations. One year, a young wizard named Vander Horck, determined to create the most magnificent firework display in history, decided to change the spell. Upon its casting, the spell burst high in the air with a bright red glare more splendid than anyone could have imagined. 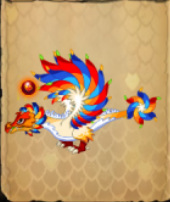 In response to the magnificent display, thousands of colorful firework dragons poured into the night sky and to this day are only seen during grand celebrations." "The majestic panlong dragon originates from the Far East and it's said to only come out of hiding once every twelve years. Though it prefers to be near water, they have occasionally been seen in many other types of habitats. 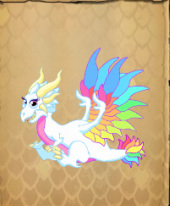 Rumor has it that these dragons are not only a distant cousin of the rainbow dragon, but they're almost as rare too! 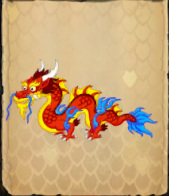 I wonder if it's a coincidence that they only seem to show up during the year of the dragon." "Twice each year, near the longest and shortest days of the year, the Solstice Dragons come out of hiding. Their arrival - along with lighting of the Sun Stones of Surya - signals the beginning of grand festivals throughout much of the land. Because it has two heads, one favoring summer, the other winter, the Solstice Dragon is nearly always of two minds on any issue. Despite this conflict, most dragon experts take solace in the idea that two heads are better than one..."
"These hybrid dragons come from the Far North and can only be bred near the end of the year. Centuries ago, the magical toymaker Sandakloz journeyed north to study these rare creatures. He never returned from his journey, but every year since, during the month when reindeers dragons can be bred, children wake up one day to find magical toys in boxes bearing the old mage's signature." 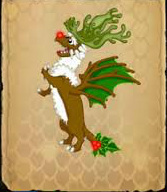 "The mischievous and reclusive clover dragon can be found roaming the meadows of Ulster during a certain time of the year. 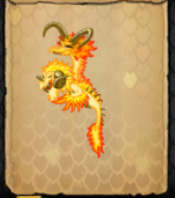 Should you be lucky enough to have a clover dragon it is sure to make other park owners green with envy! 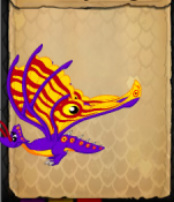 These dragons delight at playing tricks on others and have been known to, um, "hide" things. Maybe it's best if your guests check their pockets before they leave!" 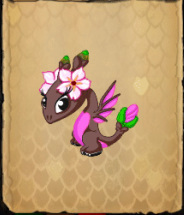 "Sakura dragons, also sometimes called Cherry Blossom dragons, appear in the springtime when they bask in the beauty of spring's new growth. Villages where Sakura dragons visit will hold celebrations and picnics beneath these docile dragons' flowered wings in honor of the season." 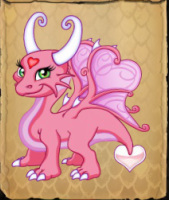 "The rare love dragon hails from the western slope of the Berrywhite Mountains and only shows up for a few weeks each year when love is strong in the air. Getting one of these lovely beasts is sure to inspire your visitors to buy flowers and maybe even find a spark of love." 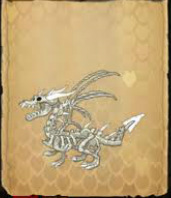 "Bone dragons can only be found for a couple weeks during the year. The rest of the year it is believed that they burrow underground near cemeteries to be around other bones. But I bet if you breed one and put it in a habitat with other bones, it would stick around. Or perhaps near a heat source to keep away the bone-chilling winter cold?" "The exceptionally rare leap year dragon can only be seen in the wild once every four years near Bridget's Pass. Getting one of these in your park is sure to make your visitors over the rainbow! Or is it over the moon? 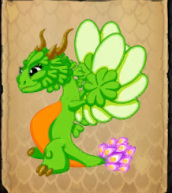 I can never remember..."
"The bloom dragon is found roaming the Cadberry Meadows near the beginning of Spring. 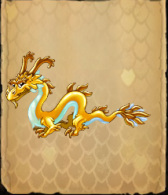 These dragons have been known to hide their ornate eggs in some unusual places to protect them from Spring-time showers. Unfortunately it seems to have had the opposite effect because children have made a game out of finding them!"